The human body as we know it is much more than just a physical being. We possess a deeply powerful energetic body as well, influencing every area of our lives. This energy travels through the main energy wheels of the body or the body’s chakras. Aligning the spine, each chakra is associated with different aspects of our life, and possess different functions including the physical, psychological, energetic and spiritual areas of our life. The practice of awakening your chakras, clearing your body of blockages of these energies and welcoming positive energies to these 7 important areas is accomplished through a variety of different techniques including both meditation and yoga. When all 7 chakras are awakened and centered in the body, we are, in turn, opened to a new level of spiritual awakening, an important step in our journey towards enlightenment. Located at the base of the spine, this chakra encompasses the first three vertebrae, the bladder, and the colon. The Muladhara is often referred to as the Root Chakra, associated with grounding, stability, and survival. When the Muladhara is activated and open we experience feelings of safety and security, as well as a courage and fearlessness in our approach to life. The Swadisthana is located slightly below the navel and is highly focused on the body’s reproductive organs. Associated with both our sexual center and our creative expression, this chakra is known as the Sacral Chakra. It Is connected to our relationships, sexuality, empathy, and pleasure, directly impacting the way in which we view those we are in contact with. Located just about the naval, the Manipura is also known as the Solar Plexus Chakra. This chakra is where we draw our own personal power, associated with will, power, joy, motivation, and self-esteem. Activating and opening the Manipura will provide you with feelings of empowerment and courage. It will trigger the drive and energy needed to confidently continue on our journey to enlightenment. Known as the Heart Chakra, and located in the middle of the chest, the Anahata is the center of spiritual growth, unconditional affection, devotion, love, compassion, and self-acceptance. As this is where the spirit resides, this is the chakra that will direct our spiritual journey. It acts as a bridge between the lower energies (the first 3 chakras, known as the ‘chakras of matter’) and the higher energies (the last 3 chakras, known as ‘chakras of spirit’). In this way, it serves as the connection between our body, mind, spirit, and emotions. Also known as the Throat Chakra, the Vishuddha derives its energy through sound vibrations, which is why the ‘Om’ sound, often associated with meditation, is so powerful. It can also be activated through chanting or other means of making harmonious sounds. This chakra encompasses the neck, thyroid, jaw, mouth, and tongue. Associated with communication, intuition, synthesis, desire to speak and self-expression, the Vishuddha is where our inner voice and truth is expressed. Located between the eyebrows, the Ajna chakra is also known as the ‘Third Eye’ Chakra. It is through these energies that we are able to visualize things and experience intuitive knowledge. Associated with light, knowingness, intuition, perception, self-mastery, wisdom, and imagination, the Ajna chakra focuses on spiritual vision and knowledge. 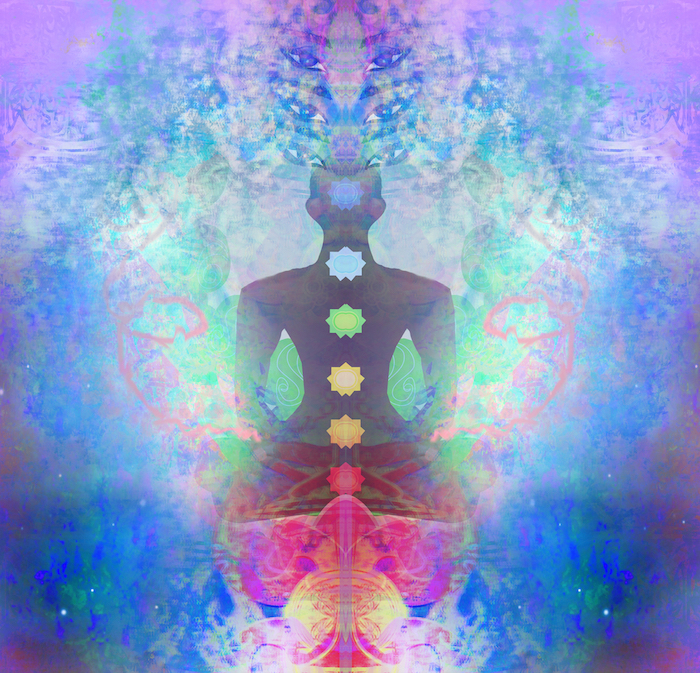 Activating and opening this chakra corresponds directly with the experience of spiritual awakening. The Sahasrara chakra or Crown Chakra is located at the top of your head. 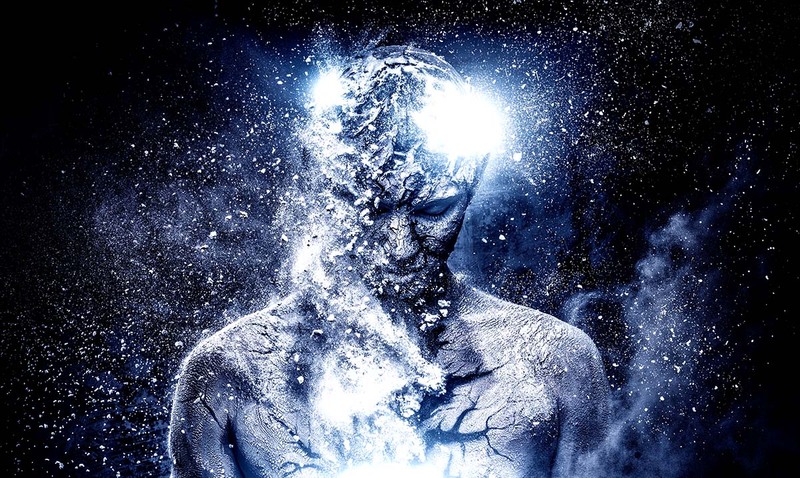 This is a representation of the highest level of enlightenment and consciousness, creating a connection between ourselves, our higher selves and, ultimately, the divine. Sit comfortably somewhere quiet where you will not be disturbed. Sit straight, lengthening your spine and breathe gently, but deeply, closing your eyes. Imagine a ball of energy at your feet. Breath and allow it to expand, slowly growing to the size of a beach ball. Visualize this ball move to the Root Chakra, feeling as it moves through your feet and up your legs, warming your body with its energy. As it reaches the chakra, picture it glowing red. As the energy continues to move north to the Sacral Chakra allow the color to shift to orange, the energy continuing to warm the body and each of the organs individually. Continue to move the energy up now to the Solar Plexus Chakra, feeling each organ warm as it moves through your body. Visualize the ball of energy shifting to a yellow color in this area. Allow the ball of energy to continue to slowly move through your body, warming everything and turning green as it reaches the Heart Chakra. Continue to maintain a calm, deep breathing pattern throughout your meditation. As the ball of energy moves to the Throat Chakra, visualize it turning blue. Allow it to warm your throat, and feel your breath, as it moves through this energy, also warming up at this time. Feel the warmth on your face as the energy continues to move up through the body, warming your lips, your nose, and your eyes. As it reaches the Third Eye Chakra between your eyebrows, picture it now an indigo color. At this point, feel the energy gaining power as it moves through the spiritual chakras. Once you feel the Third Eye Chakra align with the others (which may take longer than the previous chakras) feel the energy move up to the Crown Chakra. As the energy reaches this point, you should feel the warmth throughout your body. Once your Crown Chakra aligns with the others, release the energy upwards towards the universe. Focus once again on your breathing, and thank yourself for the time and attention you have just spent practicing self-love with this exercise. Gently open your eyes. Allow yourself to remain seated for a moment if needed to return to the world around you fully before standing up.